WANTED: The Law of Attraction Killer! 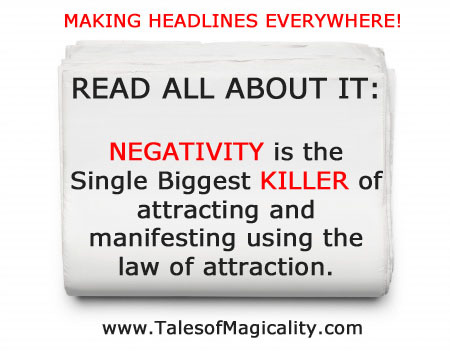 NEGATIVITY is the Single Biggest KILLER of attracting and manifesting using the law of attraction. Today, a team of scientists have discovered a CURE to this ILL-FATED Killer of the Law of Attraction and we have that cure just for you! Don’t let negativity kill your dreams! Get the CURE today! The cure is known as LOVE! Love everything in your life and everything that comes in your life. Love your family. Love your friends. Love the universe. Love your job. Love your health. Love your abundance. Love your wealth. Love your home. Love your body. Love yourself. Love nature. Love the air you breathe. LOVE!! 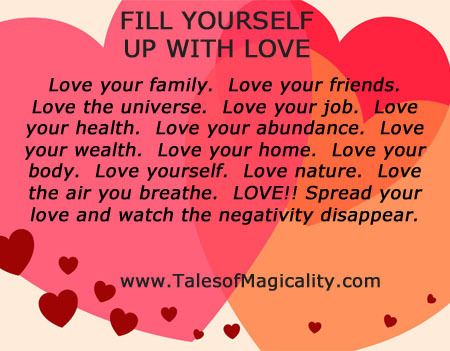 Spread your love and watch the negativity disappear. Ok, ok, so there really wasn’t a team of scientists (but there could have been!) But love will absolutely cure your negativity disease. I know how easy it is to get caught up in the hustle and bustle of everyday life where its just too simple to fall into the negative trap. That is why you have to remember to love. Love with also bring feelings of gratitude when you use it and open the doors for you to attract anything your heart desires. Any time I allow negativity to consume my thoughts, I don’t feel good. When I don’t feel good, I attract more things in my life to feel not good about. This is when I recognize that my Magicality Magnet is facing down and I start to fill myself up with good thoughts. 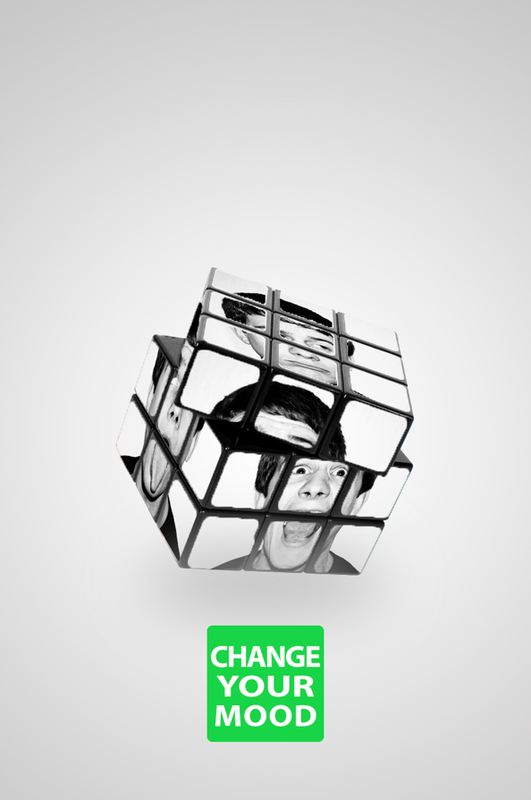 If those good thoughts can’t help me, I do something that will change my mood and mind. If that still doesn’t help, I confront my negative emotions and thoughts to see what I need to learn from them. I get myself back to positive and flip my magnet UP so it smiles at me and makes me smile at the world. You should work on doing the same at any moment you aren’t feeling good. Don’t let the Negativity kill all of your hard work in using the law of attraction to manifest and attract abundance into your life.